NEPAL. Achham District. 2004. Female rebels break out in a smile during a training exercise. 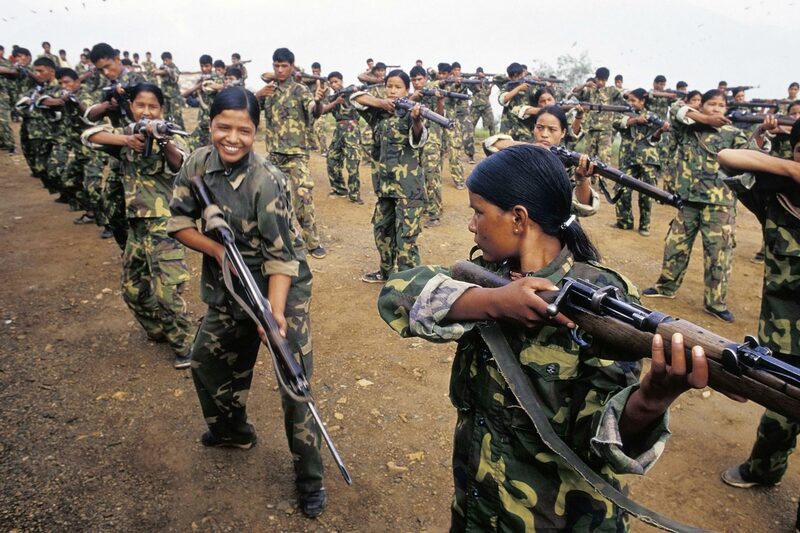 About on-third of the Maoist fighting forces are young women. The traditional role of women in rural Nepal is often very rigid, and the Maoists have adopted the liberation of women as one of their tenets, attracting a pool of highly motivated female fighters.